They are very professional and produce very high-quality work. 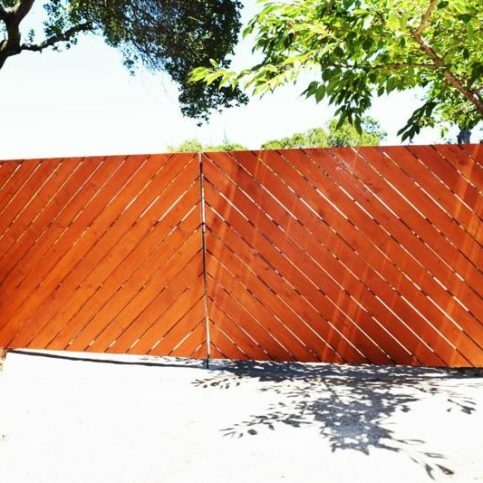 They put up really good fences that don't fall down. 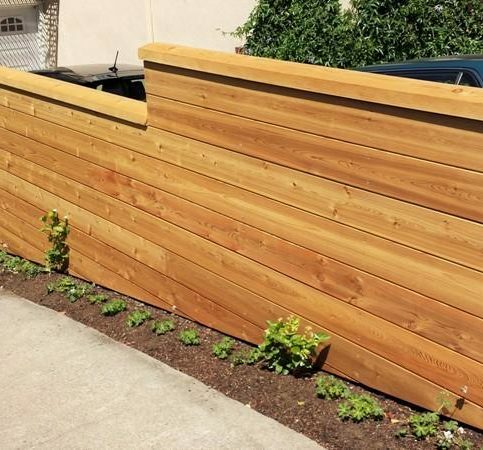 They worked hard, and the fence is still standing. It did not blow down. G .O. 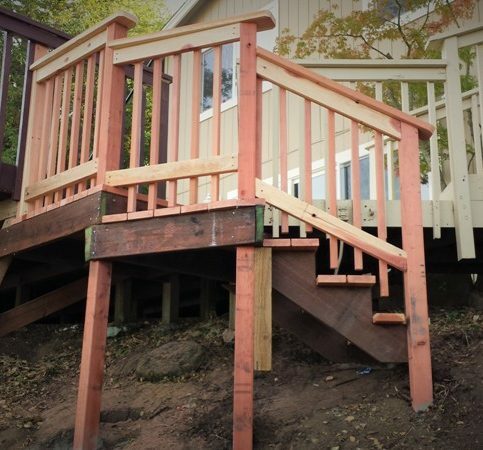 Blessing Construction Inc. builds and repairs decks, fences, handrails, retaining walls, and other wood-based products for residential and commercial clients in Contra Costa and Alameda Counties. 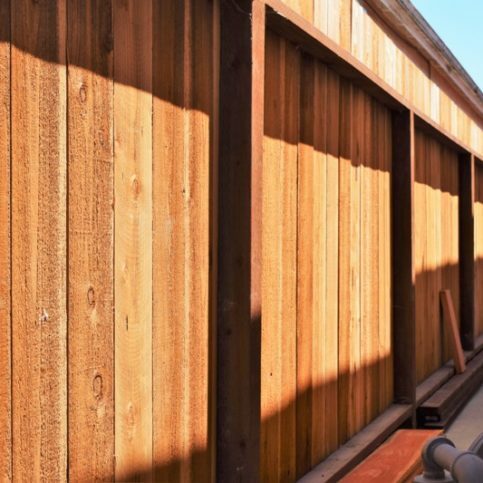 The company also has the in-house capabilities to take on various structural framing, retrofitting and siding projects, and it backs all its work with a three-year warranty on all workmanship. DIAMOND CERTIFIED RESEARCHED CAPABILITIES ON G.O. Blessing Construction Inc.
Company Name: G.O. Blessing Construction Inc.
DIAMOND CERTIFIED RESEARCHED ARTICLES ON G.O. Blessing Construction Inc.
Juan Guzman, owner of G.O. 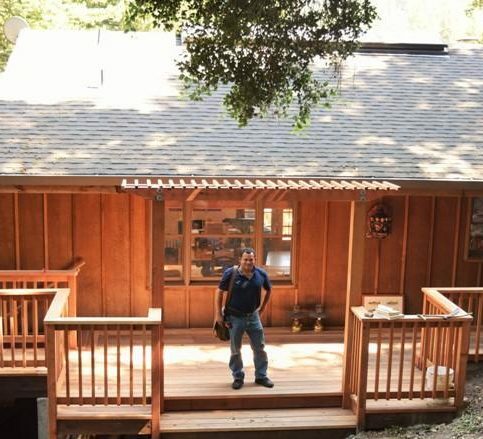 Blessing Construction, stands on a recently completed deck. G.O. 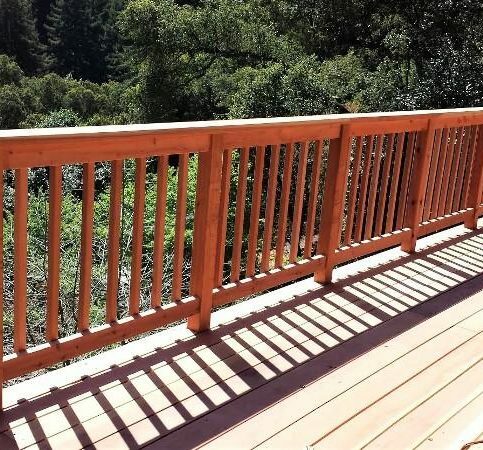 Blessing Construction has been building and repairing decks, fences, handrails, retaining walls, and other wood-based products for residential clients in Contra Costa and Alameda Counties since 2007. 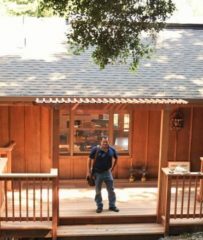 The company also has the training and equipment to work on structural framing, retrofitting and carpentry projects, and it backs every job with a five-year warranty. 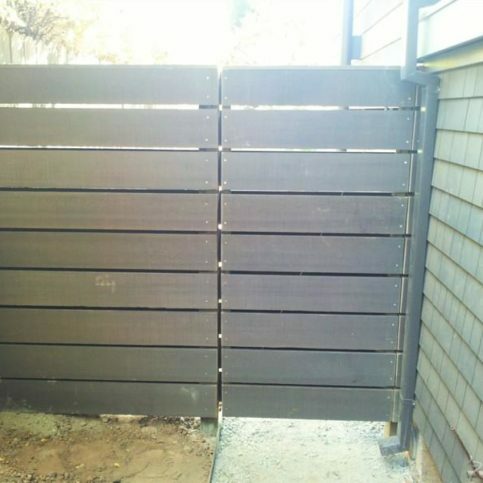 When it comes to building a deck or fence, it’s important to hire the right type of contractor. 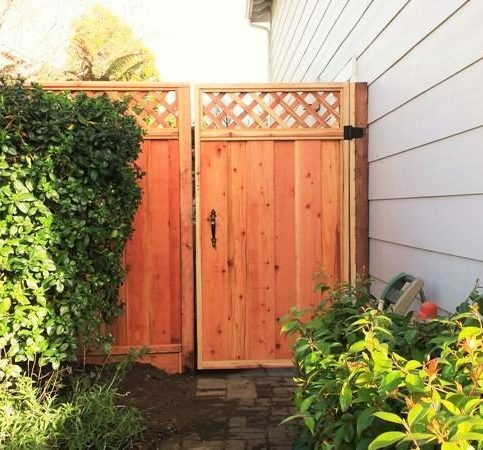 If you’re looking to build a new deck or fence, you may be tempted to go with an inexperienced contractor or even handle the project yourself, but this can lead to a number of costly (and potentially dangerous) problems. A: It depends on the size of the job. 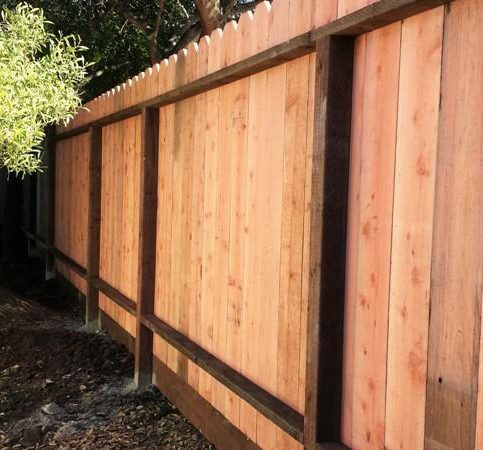 For example, a fence project usually takes about a week to complete, but larger jobs can take up to several months. We try to complete projects as quickly as possible, but we always take our time and make sure the work is done correctly. Q: How quickly do you respond to questions and concerns? A: We respond as quickly as possible, especially if there’s an emergency. If you need a repair, we’ll try to come out the same day or the next day. Q: Do you keep the jobsite clean? A: Yes, jobsite cleanliness is very important to us. By keeping everything clean and organized, our clients can look at the work while we aren’t there without a lot of materials or mess in the way. Q: Will you consider my needs when planning and working on my project? A: Absolutely. The first thing we do on any project is ask the client if they have a specific idea of what they want and how they want it done. We listen to their goals and talk to them about their options. 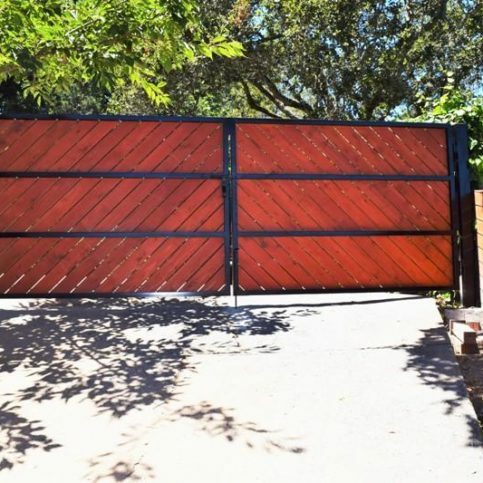 It’s also important for us to know what type of service they’re expecting, so we find out if they’re looking to get something done quickly or if they want a project with more value. Q: Do you work on rental properties or homes that are for sale? A: Yes, but it depends on your motivation for doing the project. 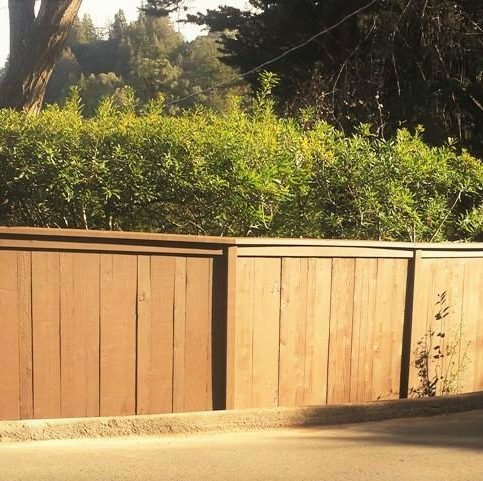 If you’re fixing your home to sell and you want something as cheap and fast as possible, we’re probably not the right contractor. However, if you want a quality job that you’d be happy living with yourself, we’re here to help. SELECTED PHOTOS FROM G.O. Blessing Construction Inc.
Juan Guzman is owner of G.O. Blessing Construction Inc., a Diamond Certified company. He can be reached at (510) 381-0155 or by email. A: I used to collect hats from every place I visited in the U.S. I stopped when I realized I never wore any of them, but I still have 50 or 60 hats. A: I would like to visit more of the U.S. One of my goals is to visit every state, and I still have a long way to go. A: We usually go out of town for Christmas. A: Pancakes. I don’t like waffles. 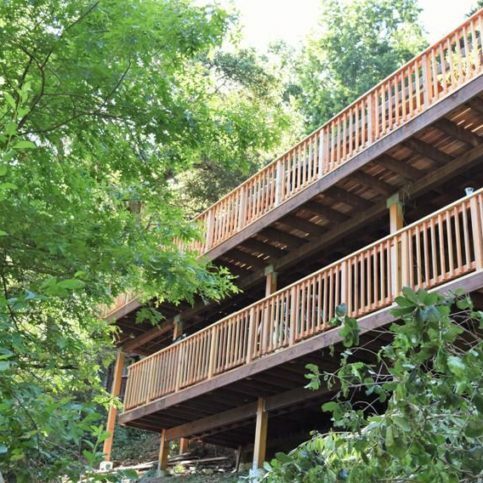 When it comes to deck materials, you have a few different options to choose from. 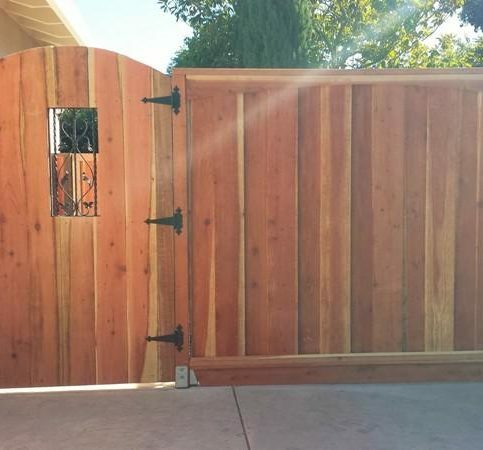 Essentially, these fall into two categories: natural wood and synthetic. 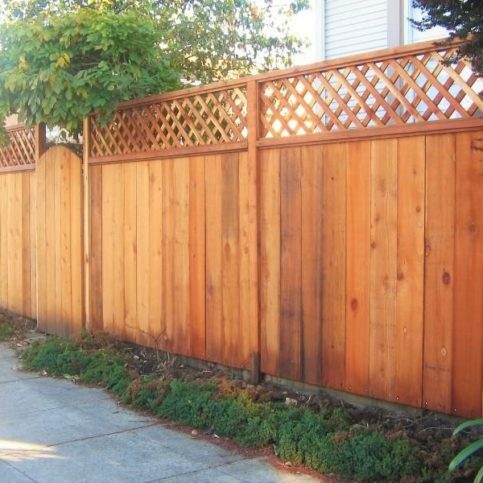 In general, I recommend using natural wood products because they’re stronger than synthetic and will last longer. Also, synthetic products have been known to heat up in the sun, which can make them uncomfortable to walk on and even transfer heat to your house. What kind of maintenance are you willing to do? 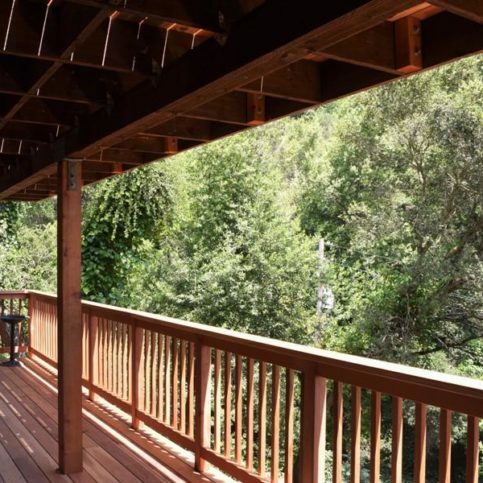 While synthetic decks are virtually maintenance-free, wood decks require recurrent upkeep, such as re-staining every two to three years. 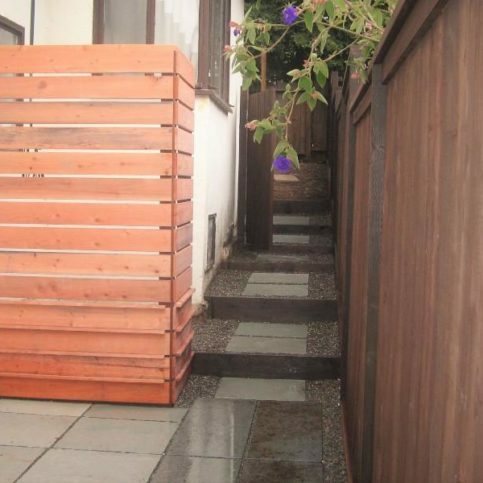 If you don’t want to do a lot of maintenance, consider building a stone patio instead of a wood deck. 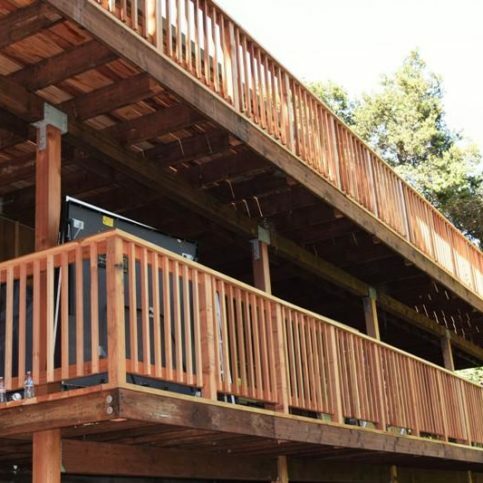 When calculating the cost of your new deck, be sure to account for additional components and features. 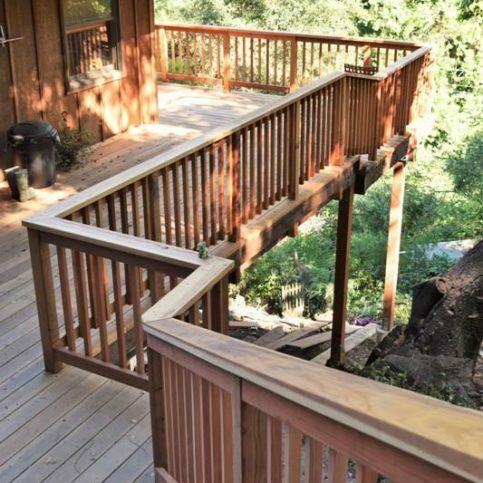 For example, deck railings can be expensive, depending on what type of material you’re building with. 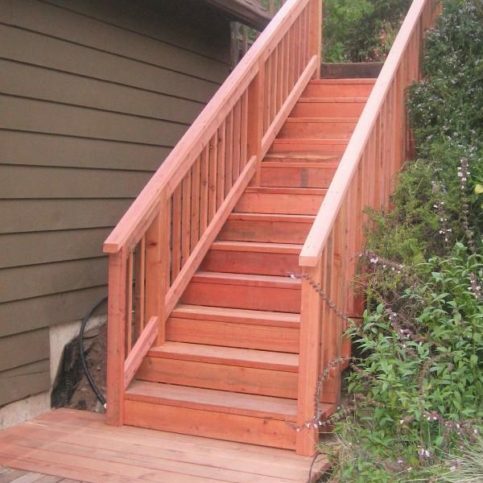 Also, there may be further aesthetic alterations you want to make in conjunction with your new deck. 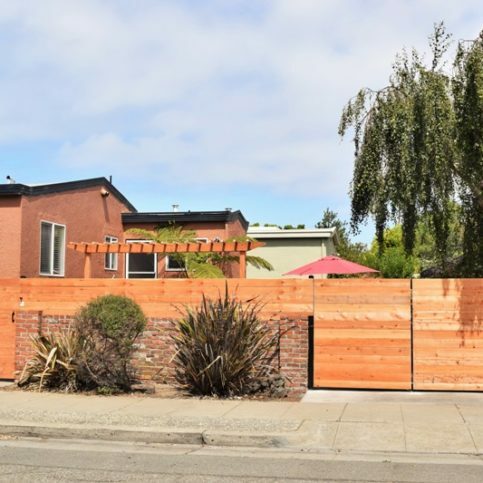 By considering the true costs involved, you can avoid going over budget with your project. Let’s talk about a little bit of the purpose, what you really want to do with your deck. So, do you want it just for entertaining? 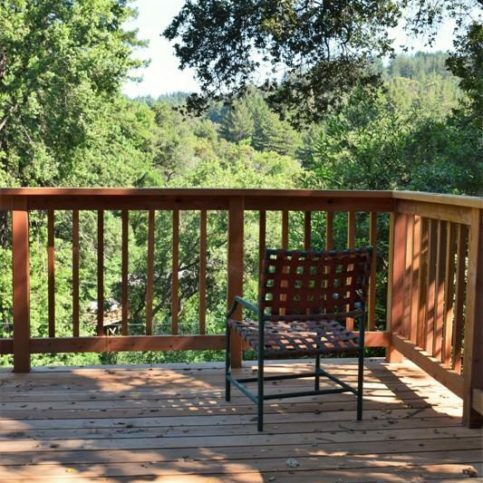 Or do you want to be sitting on the deck, sunning a while? Or do you want to set a pot in there and grow some vegetable garden? So, what is the maintenance that you want to give to the deck? It’s very important. 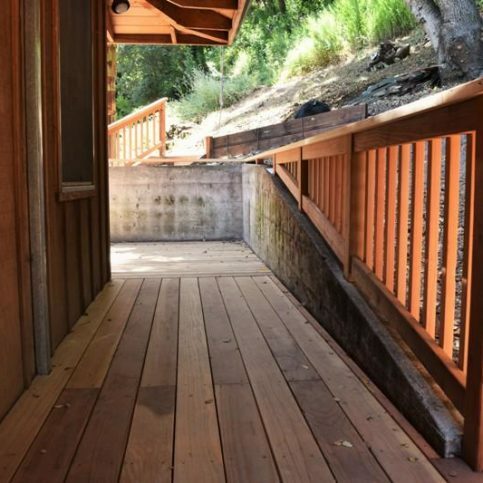 So, and in wood decks, you can be staining the decks every other year. Or you can just let it go. You know, just never get any stain on it. If you use a different product, like any synthetic product, so, you have to consider what is the reaction of those products? Like, I would say the plastic material is not that strong. 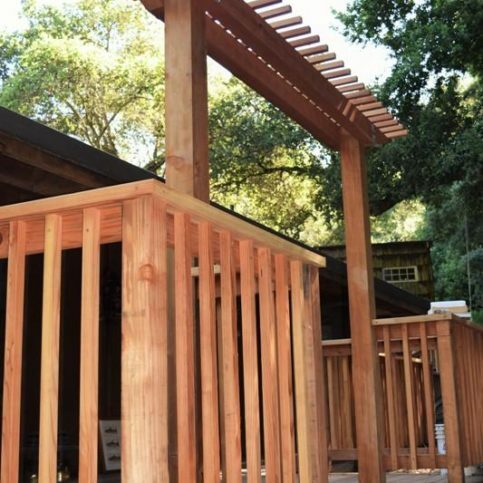 Redwood is 5 times stronger than any plastic material deck. Also, the hit, the synthetic products are always going to be containing the heat and making your house kind of hotter than what you might be expecting. Now, let’s talk about the cost. Whenever you are preparing for a deck, so, consider the cost not just for the deck itself. 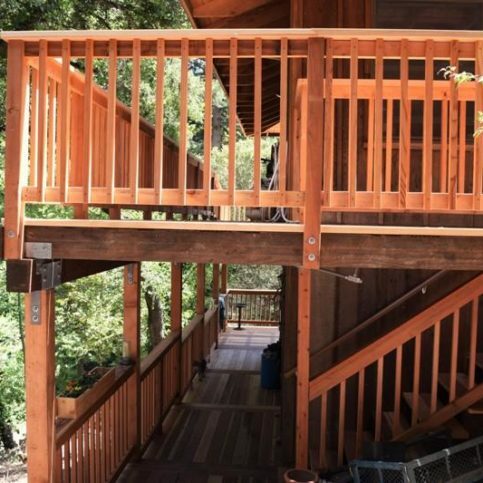 Let’s consider, I would say, some allowance for the surrounding of the deck. 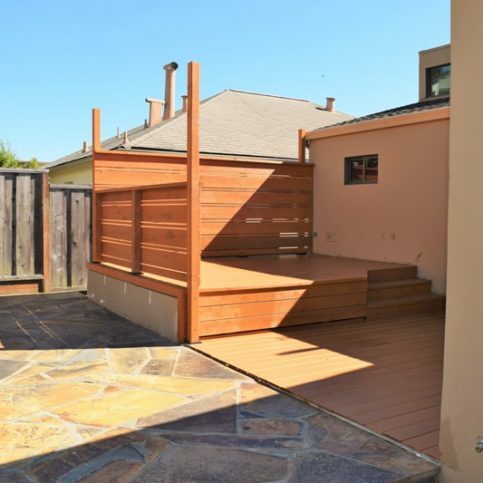 Like, say your deck is going to be ending in a retaining wall and it’s not going to look that nice. 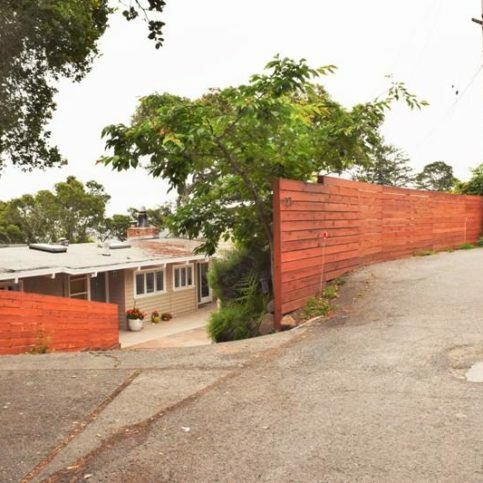 So, you might be considering to build a sitting area in there. 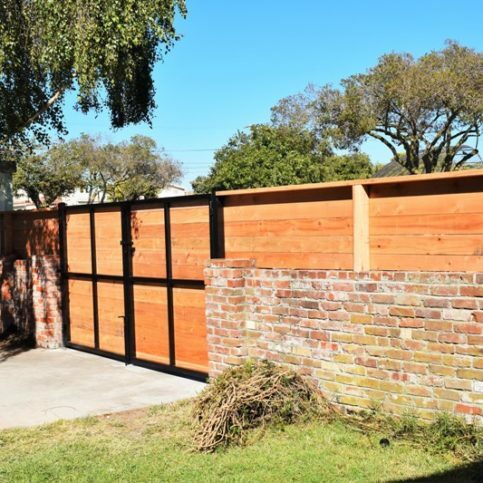 So, that is something that you should be prepared when your contractor gives you an estimate. So, you’ll not be surprised. And when you see in the final product, you want to see everything blends into a beautiful place. Diamond Certified RATINGS ON G.O. Blessing Construction Inc.
G.O. Blessing Construction Inc. : Average 9.0 out of 10 based on 54 unique customer surveys of customer satisfaction. They are very honest and trustworthy. 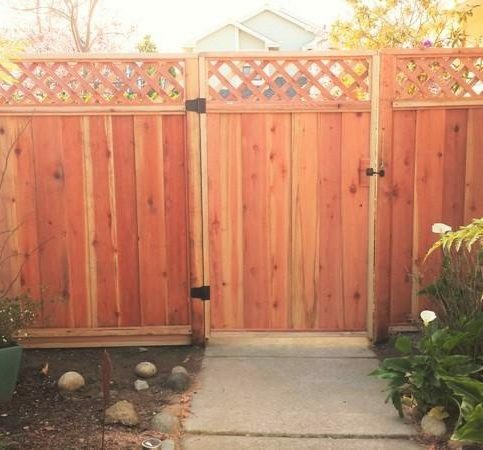 They did a really good job, and they were very open minded about my concerns. They are very flexible and able to change the strategy when needed. They were able to get the job done. Very reasonable and flexible, it was good to work with them. They know their stuff. The quality, and the customer service is excellent. They are very honest, and they don't try to up-sell you. They are timely. The whole work force shows up like clock work. I think they do good work. They are very professional and make it easy for their customers. They went above and beyond to make sure we knew exactly what we wanted. They weren't trying to up-sell us on things that we didn't want. Very prompt, he came out when promised and completed the job as promised. I trusted what he was doing. He did the work, cleaned up, and was polite. Very, very trustworthy and honest, he was upfront about what he did and did not know. I had him take down a wall. I felt very good about what he was doing. They did an excellent job. They are very communicative, and they know how to plan a timeline well. 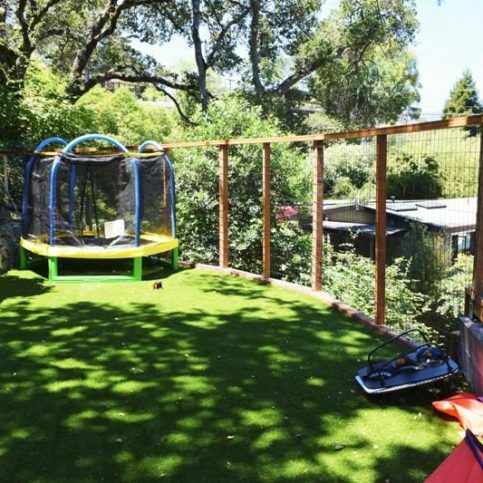 I liked that they were able to get the project done on time and before the deadline. They were good. We didn't have any issues at all with them. They are very dependable and follow through with what they say. Nothing specific, just the things I mentioned. I recommended them to my neighbors. Like I said, they do excellent work. Very good at what they do, you just need to watch them, but they are very good. Juan Guzman has a lot of integrity and always shows up on the job. I would say to use them. They have quality service. I will be using them again once I save up the money. The fact that he quoted me a price and stuck with it even though it ended up costing more, he did the work for less profit. He has integrity. I liked dealing with the people. Very trustworthy and efficient, they were timely, personal, kind, and fair. I liked dealing with Juan Guzman. They are very reliable. They can fix any problems immediately. All of the workers are very courteous and honest. They did a great job.